Very few companies run without at least one dedicated business application these days. Whether it’s a very simple stock inventory recorder, or a multitude of highly analytical CRM systems, we all have to deal with them on a daily basis. They’re there to make things better, but at times they can be difficult; most often when they’re first rolled out. Difficulty means the slowing down of processes, which costs any business money, and at worst, issues with new applications can damage data and profits. 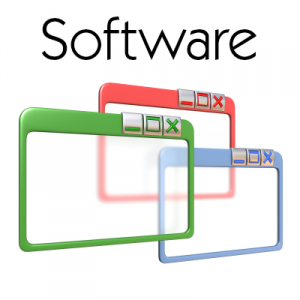 The key to preventing any risk when introducing a new piece of software to a process is quite simply to ensure that it is in no way relied upon before it is fully integrated. Most issues are because the unexpected happens, but by having a period of transition rather than a sudden change, you should be able to keep things running smoothly.This is not necessarily easy of course, requiring extra manpower, and many companies will hire experts like Evolve IT to ensure the transition happens as it should. The first is of course the people that are going to use it. No matter how much they might have read and been taught beforehand, things are always different in reality. It’s therefore never a good idea to have a single defined switchover point at which the new software is critical to the running of a process. If you implement a new ordering system in your warehouse for instance, you cannot completely remove the old process when you start using the new one, just in case it doesn’t work quite as you expect in practice. There needs to be a backup, and people need to become gradually accustomed to the new method through deployment. You also never know if there’s functionality missing until you’ve actually encountered a problem. Data is your other major concern. It’s critical to the running of any business, and it is extremely valuable. You should never allow a new application to be the sole repository for any data, just in case there’s an issue. It’s good practice to always back up any of your data, but this is doubly important when introducing something new. Maintain your old system completely intact until you’re absolutely sure that the new one is going to do the job, and that the data is safe. By making sure that your employees are happy with the new system, and that it will manage your data properly, you can reduce most of the major risks associated with a new application rollout.